A birthday girl for a ten-year old girl is cause for celebration. Turning 10 is a momentous occasion for kids, as they have been alive for a whole decade. For 10-year-old girls, presents can range from dolls to paint sets, to less standard gifts, such as animals. No matter what the present, however, a birthday for a 10-year-old girl is always a time of celebration. From soccer to basketball, giving a gift to a child who enjoys sports always elicits an excited grin or squeal. Give a baseball and mitt, skateboard or volleyball to a 10-year-old girl, and then take her outside to practice with it. Include a sports magazine or other paraphernalia about their favorite player. A girl almost always tries to emulate her mother or the women around her. By giving a gift that recognizes this beginning of adulthood is a great gift for a 10-year-old. Give a small grouping of lip glosses, or lipsticks, as well as glitter eyeshadow. This can be used in a more decorative fashion rather than everyday makeup and can make the girl feel like the grownup she so often tries to replicate. For 10-year-old girls who enjoy reading and books, giving a favorite story is a perfect gift. Books from "Redwall" to "Harry Potter" are good choices. Or, to acknowledge the birthday girl all year, give one book and then homemade coupons that promise a book for the next 12 months. For a little cinema buff, try buying a Blue-ray or DVD of their preferred Disney movie. Or, for a different approach, buy a booklet of movie tickets to a local cinema and promise the child that you will take her to whichever appropriate movie they want when it comes out. Include popcorn with the gift to round it out. 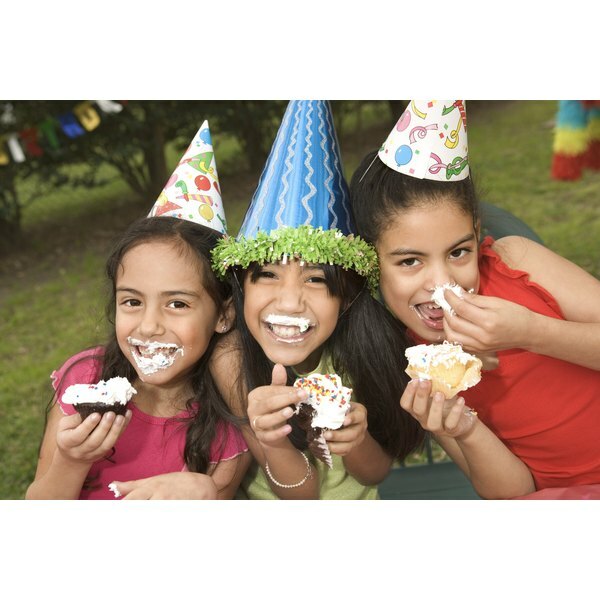 What are the Best Places for a 13-Year Old Girl's Birthday Party in NYC?